Leading Web security company adds proven cloud marketing and product executive to leadership team. This is fantastic time to be at OpenDNS. The security market is ripe for disruption and OpenDNS is strategically positioned to capitalize. OpenDNS, the world’s leading provider of cloud-delivered Web security services, today announced it has named Jeffrey Samuels as the company’s first-ever Chief Marketing Officer. Samuels brings a proven track record in marketing, product and go-to-market excellence to OpenDNS’s already-seasoned leadership team. In this role, Samuels will be responsible for expanding Umbrella, OpenDNS’s disruptive line of cloud-delivered Web security services, and driving market adoption at a global level. Samuels has spent the majority of his career in the Internet infrastructure and cloud arena. Prior to the OpenDNS appointment, he served as CMO at GoGrid, a leading Infrastructure-as-a-Service company. Under Samuels’ leadership, GoGrid scaled cloud services and successfully repositioned itself from a regional hosting company to a dominant cloud player recognized by Gartner as one of the world’s largest providers. Prior to GoGrid, Samuels was General Manager and Vice President at Neustar and GM and EVP at UltraDNS. In the past year, OpenDNS has actively recruited and hired world-class executives to escalate the growth of its enterprise security business. Samuels joins other recent OpenDNS hires, CTO Dan (former CTO of Websense) and VP of Sales Marc Gemassmer (former SVP of Sales at Alteryx) on the leadership team. OpenDNS recently announced that the company had recruited operational expert and former Juniper EVP Stefan Dyckerhoff to join its board, and that the company had raised a Series B round from Sutter Hill Ventures that would be used to accelerate the company’s sales and marketing strategy and growth. Prior to GoGrid, Samuels was General Manager and Vice President at Neustar where he was responsible for product success and achieving revenue targets in Neustar’s Enterprise Services Group, one of the fastest growing business units in the company. 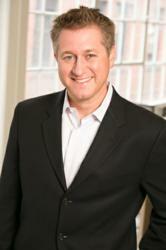 Samuels came to Neustar through its acquisition of UltraDNS where he was GM and EVP of Marketing. At UltraDNS, he was charged with building, educating and selling the enterprise market on what can now be regarded as one of the first commercially successful cloud-based infrastructure solutions. As a key member of the UltraDNS executive team, Samuels drove the company from pre-launch to become the number one provider of Managed DNS and traffic management solutions to thousands of customers across multiple industry verticals. Samuels earned a bachelor's degree from Columbia University. He currently is a key advisor and member of the leadership group of Parent Involvement Project (PIP) that fosters parental involvement in low-income San Francisco Bay Area school districts. OpenDNS is the world's leading provider of Internet security and DNS services, enabling the world to connect to the Internet with confidence on any device, anywhere, anytime. OpenDNS provides millions of businesses, schools and households with a safer, faster and more intelligent Internet experience by protecting them from malicious Web threats and providing them control over how users navigate the Internet, while dramatically increasing the network's overall performance and reliability. The company’s cloud-delivered Umbrella security products protect enterprise users from malware, botnets and phishing regardless of location or device. At the heart of all OpenDNS services is the OpenDNS Global Network, the world’s largest Internet-wide security network, securing 50 million active users daily through 19 data centers worldwide. For more information, please visit: http://www.opendns.com.